This month I had the pleasure of painting Sophie! She has such an interesting lovable face that I was almost sad when it came time to ship her portrait to her human mom. Painting this portrait started last year when my friend’s cat, Ginger, became very ill and the vet bills to keep Ginger alive were both financially and emotionally draining. 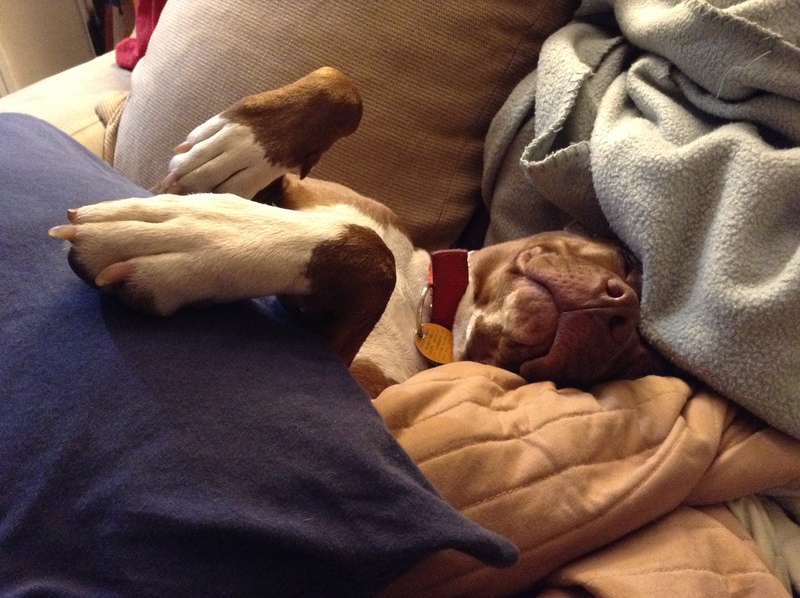 My friend then turned to a crowdfunding site to alleviate some of the incurring vet bills. To help my friend out I offered a free pet portrait as a raffle prize. Anyone who had donated $50 or more would have their named entered into a raffle. I don’t know how many entries my friend had to pick from, but I was very excited that the name drawn from the hat was another childhood friend of mine, Magdalena! I haven’t seen Mags in years and I remember her has a kind, generous and sensitive individual. The kind of person who would literally never hurt a fly. Painting a pet portrait for her was a pleasure, especially when she sent me the photos that I would be working from! I saw the image of Sophie sitting amongst some lovely red tulips and knew THAT was the image! I hope Mags Loves her new painting as much as I do and I can’t wait to finish the next two portraits for her! 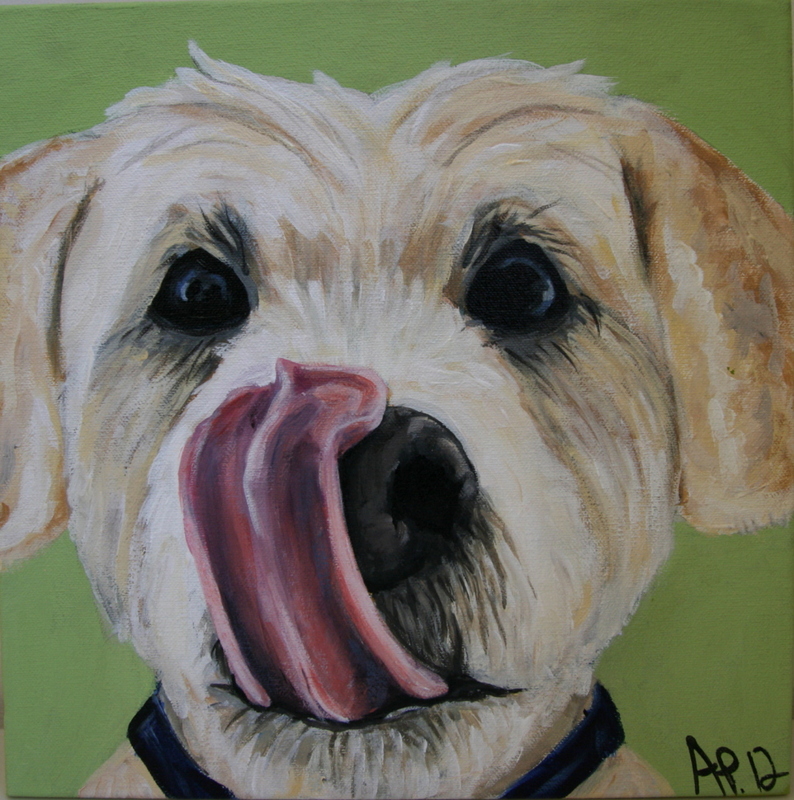 If you are interesting in having a portrait of your pet painted, please contact me at Palechickstudios@gmail.com. Tater the Tot gets his first portrait! Months ago my folks had to say a painful goodbye to our beloved pitbull, Simon. We had Simon for 15 wonderful years, getting another dog was the last thing on anyone’s mind, except for my mother who was home alone for months with her grief while my father and I worked. She ventured into Manhattan on three separate occasions to look at dogs and settled on this sweet lil pup! Tater has been a joy since joining our family. He is lively, playful, social and funny. I wasn’t sure if I was ready to open my heart to another pet when my mother brought him home, but I am so happy that I did. I can’t imagine home without him. Naturally, I have to draw his portrait and this pencil drawing is only the first of many to come. I chose one of the many photos I had of him sleeping. I wanted to depict his epic style of comfort. 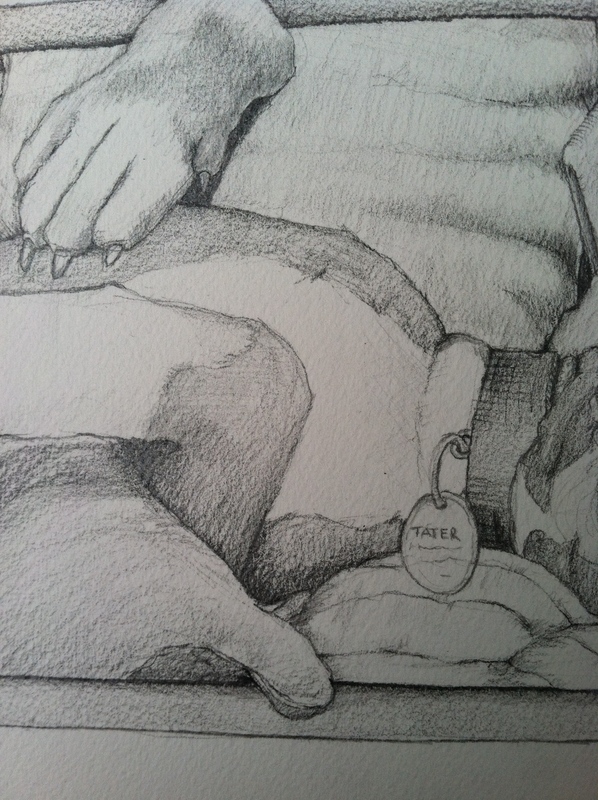 Initially I was going to draw Tater in a more illustrative pen and ink style – hence the border and composition of the image – but got carried away with using my graphite pencils. It took me about two evenings to complete. Mom was happy and dad said that I made him look “too lazy!” hahaha. 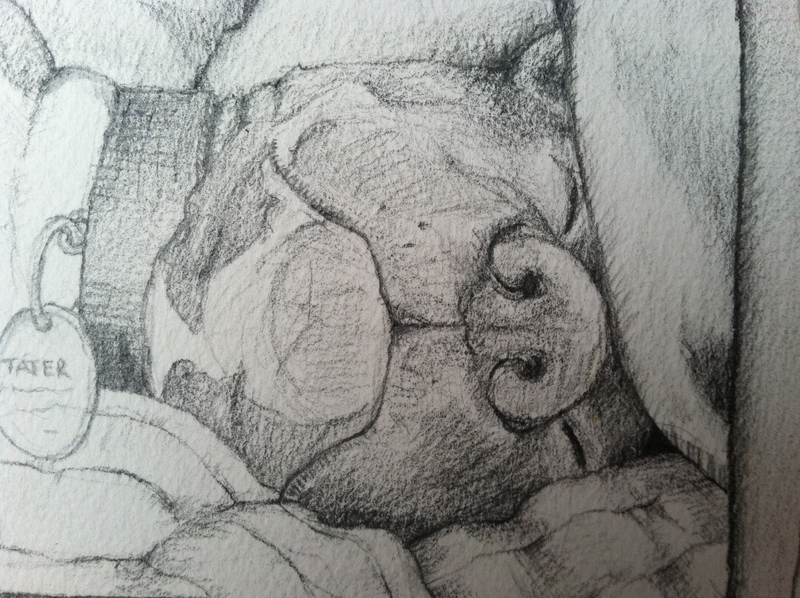 If you are interested in commissioning a pencil or painted portrait of your awesome pet then please visit my Etsy shop. I love animals, all of them, no matter the species. But I am probably best matched with cats due to their independent nature and THIS lovely girl is one of my favorite cats – next to my own personal Tamlin – in the entire world! Her name is Jager, aka Jager-monster, and she is a purrer! She belongs to my roommate/best friend who rescued her and her sister ten years ago from the trash. Can you believe that someone would toss something so precious away?!? When I am home for a period of time Jager becomes my ‘best friend’. My room is instantly hers and my bed is now hers, unless I am in it than I become her bed. Almost every night when I crawl into bed she will join me and every morning I wake up to this view. Her eyes just opening and looking at me wondering if I will dare disturb her comfort. Her paws, always stretched out in superman mode, in my face and the purrs never seem to stop. Love this cat! Another belated birthday gift for my roommate/ best friend. 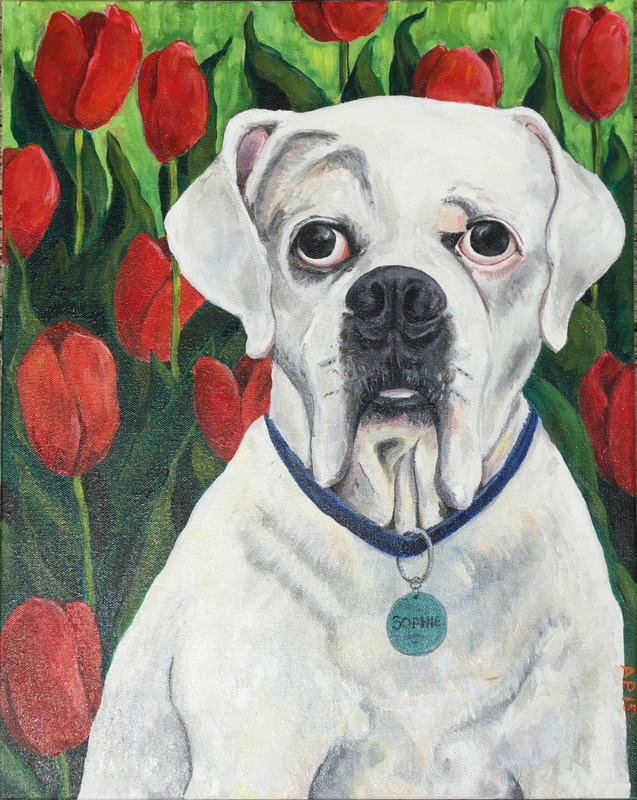 Interested in commissioning a portrait of your favorite pet companion? Then please visit my Palechick Studios Etsy page! This was our Simon. My sweet loving “piglet” as I liked to call him. About a week ago our family had to make the hard decision to put him to sleep. He was 15 years old, covered in cancerous tumors and having seizures. We know it was for the best, but never is it easy to say goodbye to a member of the family. His portrait, a gift for my mom, was one of the first I painted after years and years of not painting anything. I nicknamed him the Piglet because my mom kept him well fed and when he would run his white fur would become a brilliant pink from the exercise. My folks nicknamed him The Prince, because he did what he wanted in his last few years, house rules be damned! If there was a spot on the couch it was his, if there was a need for a ‘cookie’ he got it, and if he wanted to get up at 2 am to go outside and enjoy his ‘domain’ from the porch he did. Simon was a great dog. 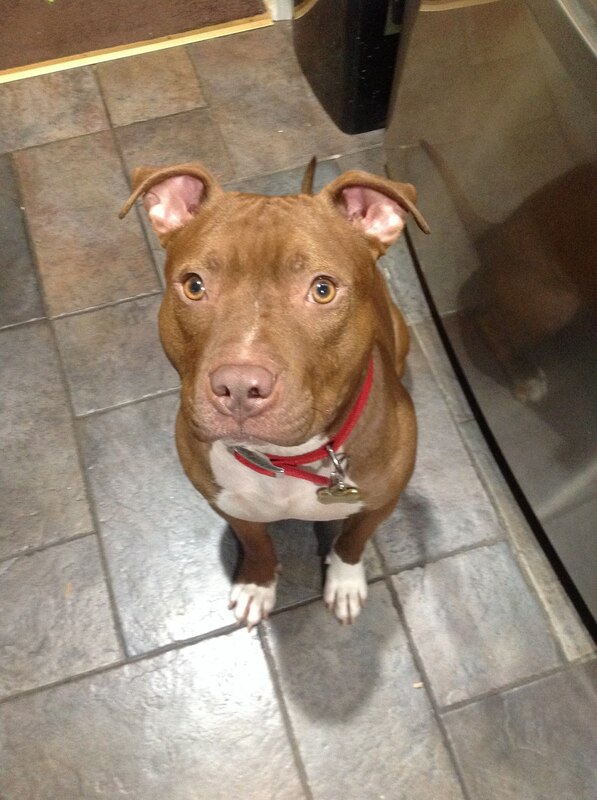 He was pit bull that was so naturally friendly and sweet he manage to change many people’s views about pit bulls. In his entire life there was maybe 3 people he did not like near his family, but everyone else was okay especially if they had a ‘cookie’ for him or just gave him attention. He loved his toys. His favorite was popped basketballs and a ginormous bone that he would run around the house with trying to temp my dad to play “where’s your bone”. He was great with kids, mostly because he learned early that kids are more generous with their food than us stingy adults. And he could clear the house with his endless supply of farts.. Oh My Lord could he shamelessly clear a house. He hated thunderstorms and fireworks, poor thing would shake like a leaf and cry. He often told on my nieces or our other dog, Maggie, when they did something wrong and he knew it! lol he was such a hall monitor. And because I would never give into his begging for my food he switched tactics and would look at my mom with his “I’m hungry mom and she won’t share” look while standing in front of me. Never worked but he did it every time. He was great dog. He was the cutest little puppy and an important member of our family for for 15 years. We will miss you always, Simon, farts and all. This sweet Australian shepherd mix is Memphis. I love this dog and had so much fun painting her! She is such a sweetheart and those big brown eyes are so easy to fall in love with. Memphis belongs to my roommate/best friend and I thought what better belated – though started prior- birthday gift than a portrait of her Memphis. I worked from a photograph I took of her last year while we had a lazy morning in bed. Its not unusual to wake up from a nap with this up-close and personal view. I was surprised that she stayed so still when I took the photo of her, normally she sees you move and she jumps on the chance for some affection. I think this might be my favorite pet portrait so far! Hello friends, fans, followers, and friendly strangers. My Etsy shop is up and running and I am currently having a special from now until New Years Eve. Free Shipping and Handling on ALL custom painting and drawing orders. The holidays are just around the corner and a work of art depicting a beloved child or pet companion would be the perfect and most thoughtful gift for anyone. I offer payment plans and am not limited to the sizes listed. Any questions can be sent to me, Amber, at Palechickstudios@gmail.com. If you would like your custom portrait before the start of Chanukah (11/27) please have your orders in by November 10th. All orders for Christmas should be in by December 10th. Thanks and enjoy this wonderful autumn season! A couple months ago while I was traveling across Alaska — photos and details of that awesome trip to come soon so stay tuned! 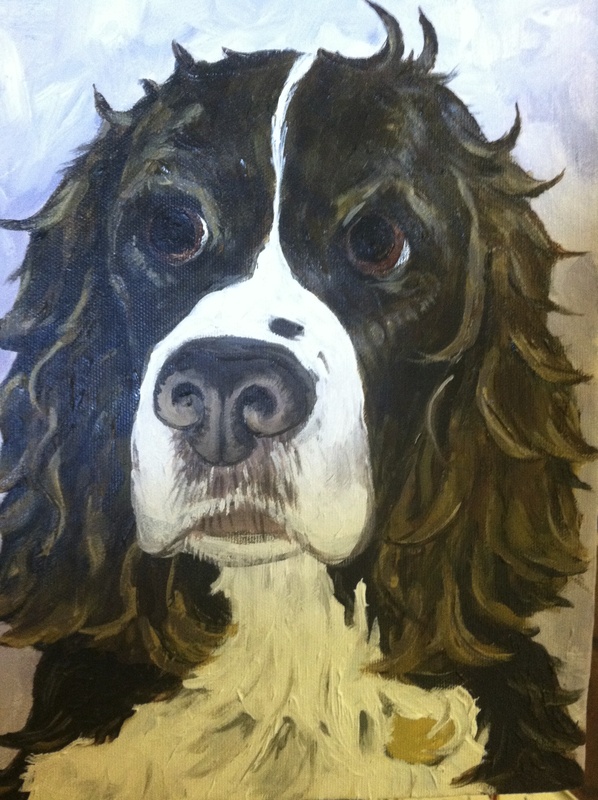 — I received a wonderful email from Kate who came across this blog and liked my Pet Portraits enough to commission me to paint her beloved Casey; a lovely cocker spaniel who had sadly passed away last November. When I received Casey’s photos I instantly fell in love with her big soulful eyes and thick curly chocolate colored locks! I hope that Casey portrait conveys what sweet soul she was and that she was very much loved by her human family. Thank you Kate for supporting the arts and I hope your family enjoyed the portrait! This is a portrait of a young girl, my niece Valarie. I need to fix her eyes, they are looking a bit Gollum-ish. LOL sadly I have a tendency to make Valarie’s eyes look massive and gollum-ish every time I draw her. Its the eye on the left that bugs me the most. its not shaped right and needs to be a tad bit smaller. I am also trying to decide if I should stick with pencil or add some ink washes. i am not a fan of the paper. I find that the pencil markings are a bit sloppy compared to other sheets of paper that I have sketched on. I do like how the hair is coming out. An early stage of Nadia’s Portrait. I bought a wonderful sheet of watercolor paper 300lb for $20! I have some big plans for this piece and will go into more detail about it at a later date when it is finished. For now I am slowly working some of the details and figuring out the color scheme. I am thinking charcoal grays, lilacs and cream, but might change my mind before I even hit “publish” on this post. Memphis Canvas Sketch. My roommates sweet pup, Memphis. I took this photo about a month ago when I was sleeping in bed. Memphis decided to jump up and lay on me like a pillow. This will eventually become a more detailed acrylic painting and part of a Trio of pet portraits for my roommate. Her birthday is coming up soon and I want to give her something special for being such a wonderful friend for all these years. This is Ginger. She is a sweet calico cat and is Marianne‘s sister. She loves sitting on her favorite chair, catching bubbles and being petted late at night. It was a pleasure to paint her portrait and to give this painting to my friend as an early holiday/congrats on the new house purchase gift. My Very Own Etsy Shop! After several months of many supportive friends recommending that I sell some of my artwork on Etsy, I have decided to give it a try. I was skeptical at first. Not because Etsy is too complicated or anything – quite the opposite, they make it very easy for anyone to set up shop. I was skeptical because I am constantly on the road for work, often staying at a different hotel every night, and was unsure if I could actually pull this off. Painting custom orders while moving about the country delivering tower sections to one Wind farm or another within a reasonable amount of time didn’t seem feasible. I’m not feeling so skeptical anymore. In the last few months I have manage to paint several pet portraits and a couple of other commissions for friends while working on the road, and feel rather satisfied with my developed painting system. I don’t suspect that the orders will immediately come flooding in and as the orders will hopefully pick up over time I imagine my system will only get better! I can and do create much more than Pet Portraits. But have decided, for the moment at least, to limit my Etsy shop to only the pet portraits. I don’t want to put more than what I can handle into the shop and I find the animal portraits to be easy and fun to paint while on the road.